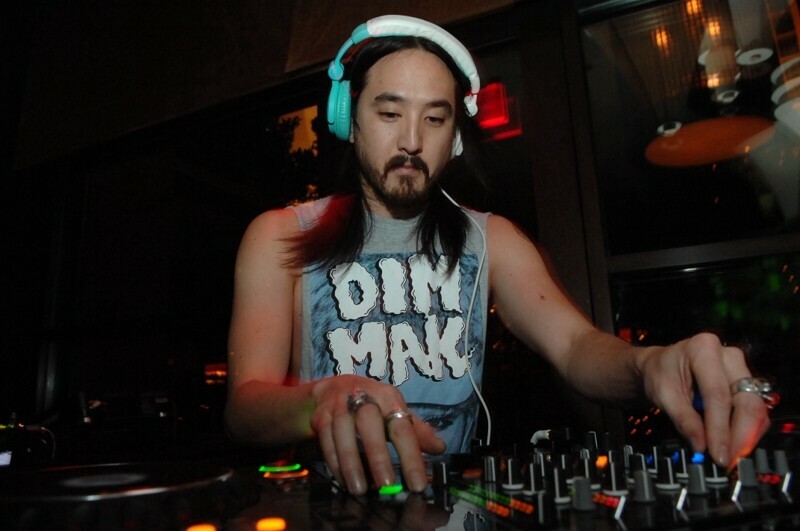 Steve Aoki and Dim Mak records deliver critical hits to clubs everywhere. 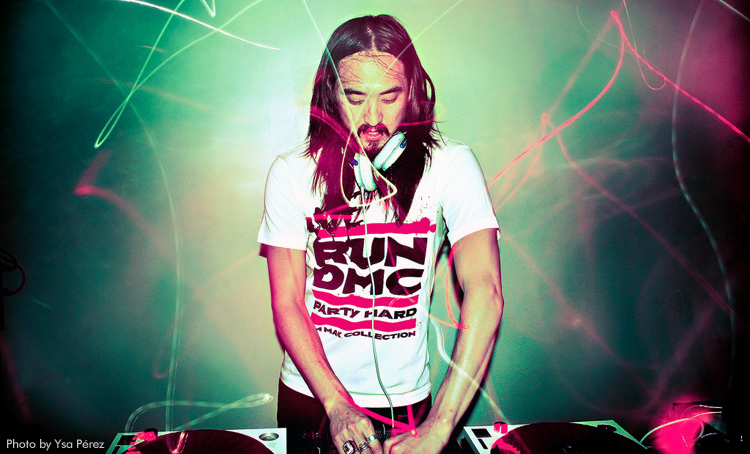 Steve Aoki has been rocking L.A.’s electro house underground since his days as a student at UC Santa Barbara. When he realized he could do what he was doing so well and make a living at the same time, he focused his energies on creating his own record label. 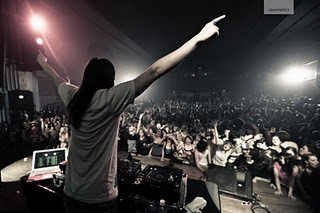 Since then, Aoki has continued to unleash a barrage of dance floor megahits that earned him accolades from magazines like BPM and Paper. He also won a DJ Ibiza Award in 2007 for Best Set of the Season. In 2008, his first record, Pillowface and his Airplane Chronicles, won the Best Mix Album of the Year Award from Billboard. The DJ has worked with everyone from Travis Barker and Afrojack, remixing everything from Peaches to Michael Jackson. Working independently from his own production company has allowed Aoki to succeed because he has a hand at every level of the process. As wide and diverse as Aoki’s business is, it’s the end result of one person just being ambitious about making music. “If you know what you want, and you are able to just go for it, you can be a 15-person workforce, all by yourself,” he says. No matter how successful Aoki might be, he stays close to his punk origins. 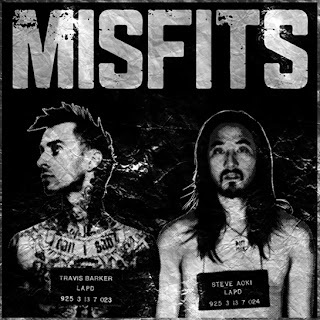 "Misfits," his recent collaboration with Travis Barker from Barker’s latest new solo project, Give the Drummer Some, is raw and aggressive, featuring violent, stomping drums, screaming vocals and a manic energy straight out of the soundtrack to an MMA competition. It’s pure punk rock, but the song’s surgical production level is pure Aoki. The years have been harsh, but Dim Mak Records has survived and succeeded. Aoki doesn’t pat himself on the back for it; he mostly credits the people he works with. In an industry full of upheavals, Aoki’s business thrived because of a little luck, too. “We also believe in DIT: Doing It Together,” Aoki adds. Is Aoki still independent because he’s been so successful? Or is he successful because he’s still independent? Beyond Dim Mak Records, he also has the Dim Mak Collection clothing line, his own magazine (Aoki) and he is currently designing his own brand of headphones for another company, WeAretheSuperlativeConspiracy (WASC). Going to Kinko’s paid off. But the scene isn’t without its negative aspects. When a young girl died of a suspected drug overdose after attending Electric Daisy Carnival last June, the electronic dance community took a huge hit. Of course, the media and the authorities quickly blamed the raves and the attendees, instead of the actions of a few misguided individuals. Aoki isn’t afraid to discuss the subject, although he warns me not to take his comments out of context. The Identity Festival is a national tour featuring three stages (The Main Stage, the aforementioned Dim Mak Stage and the Advent Stage) with dozens of artists, including Kaskade, Steve Lawler, Pretty Lights, White Shadow, Nervo, The Disco Biscuits and more. Since Aoki is running his own stage, what can fans expect him to offer? He’s also giving his fans something extra in celebration of Identity. “I’ll be putting up a new song each day on my website at www.dimmakrecs.com." For Aoki, it’s been a long road . . . and there’s still a lot more road to go. Did he ever expect his music to be as monumental as it is right now? As in all careers, there are people who do their best and fail, and then there are people who do the same thing and succeed anyways. Did Aoki have a plan when he started out? Any other reasonable human being could get jaded with the scene and retire, if they had accomplished half of what Aoki has. What inspires him now? The DJ warns that for any artist, technology is the key. The music business has to keep up with the technology if it wants to survive.